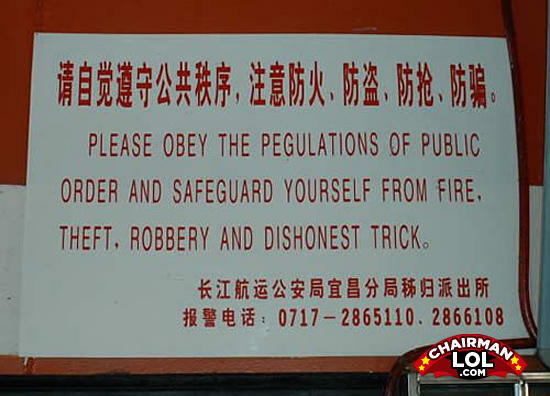 We only allow honest tricks people! No police on duty. Great! Then we can do anything we want! Are you a beaver? Because your overbite seems to be made for my wood.